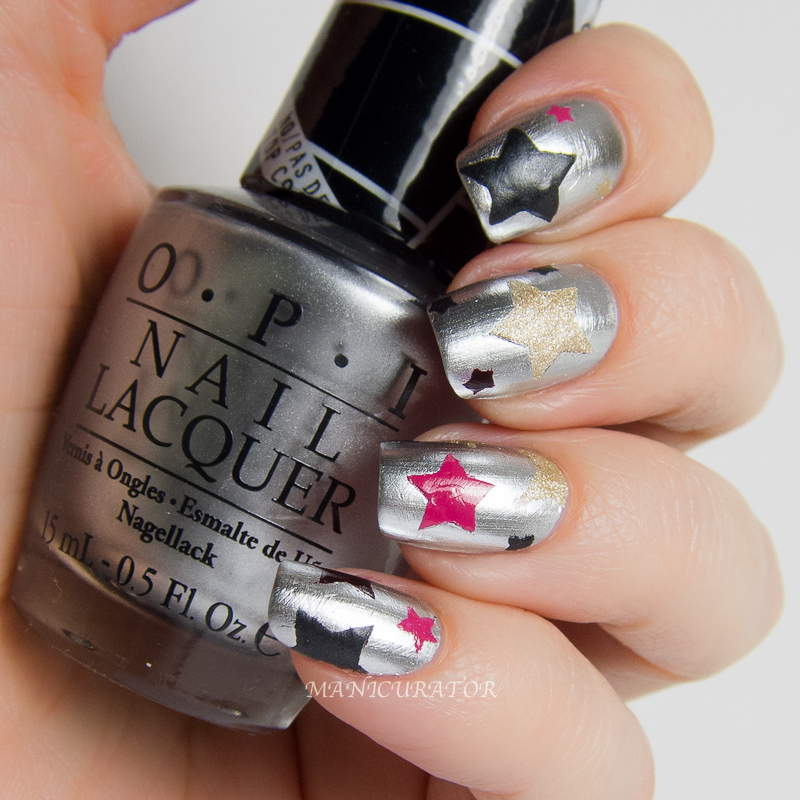 You've probably already seen the amazing OPI Gwen Stefani collection swatches already, so I decided to show them off with nail art. 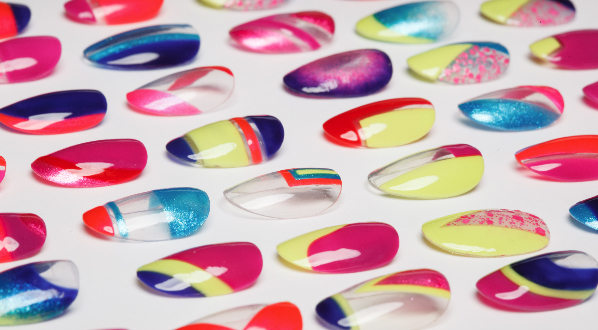 They are begging to be used in nail art, of that I am sure! 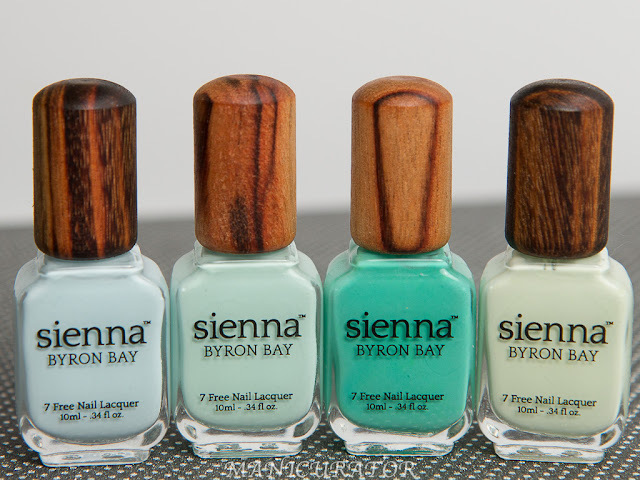 There are 7 shades in this collection, I have 5 of them today and the other two coming soon! I used one coat of the base and two coats of Push and Shove. It applies easy enough, I had no problems. 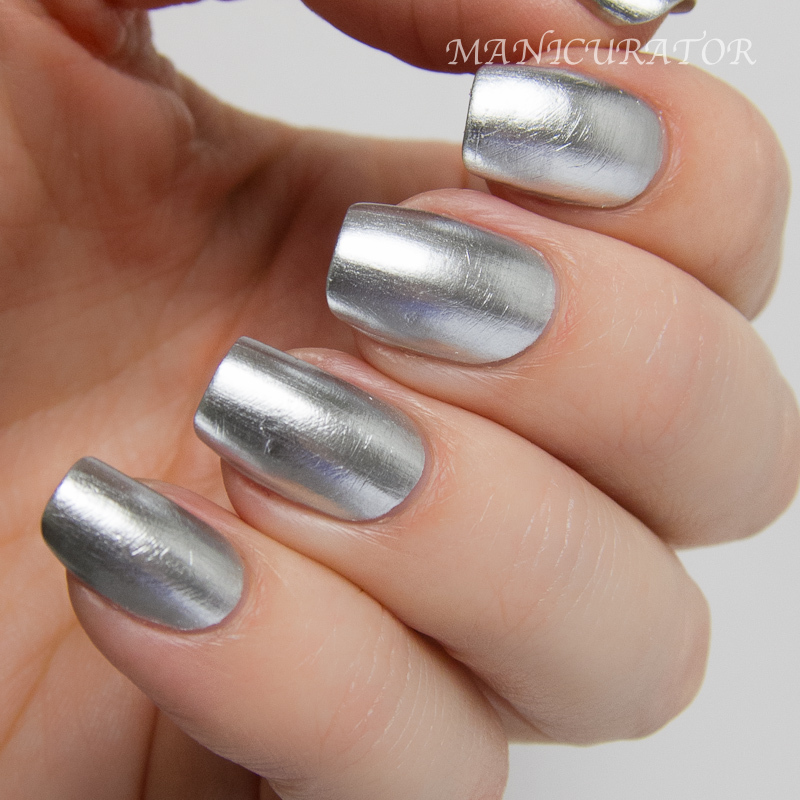 The polish is amazing and unforgiving! I buffed my nails recently to get out a pink polish stain and you can see the tiny scratches left by the buffer. Perhaps two coats of base or using a buffer that shines more than it scrapes would help with that. The marks were much less noticeable in real life though, the lighting and macro photos amplify it. I definitely love this one! You should not expect long wear from this though. I started to see wear and small chips on the second day. 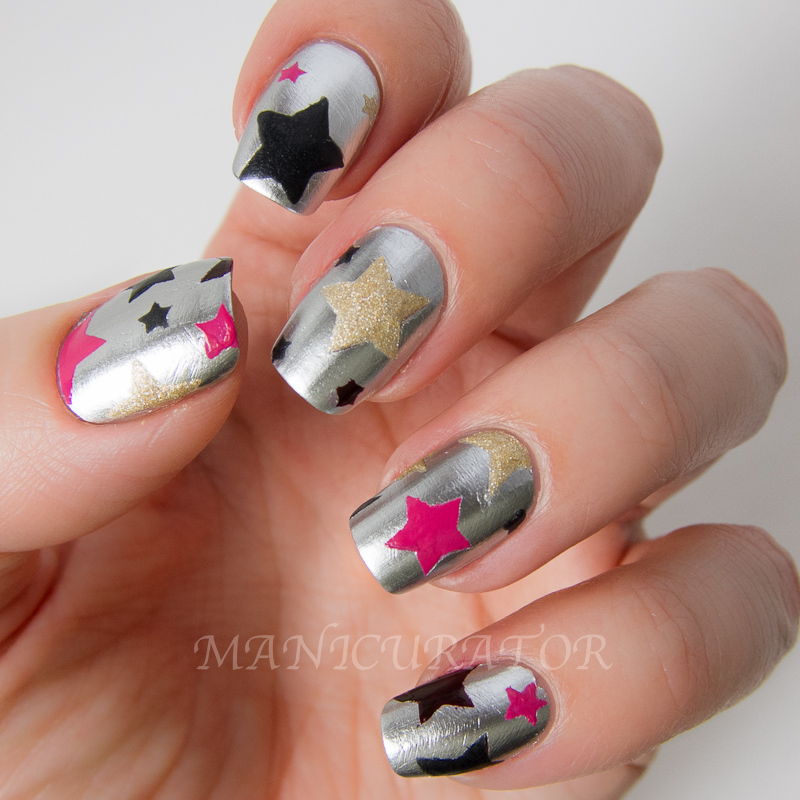 I added stars using nailvinyls that I purchased, and found them to be not as flawless as I'd hoped. 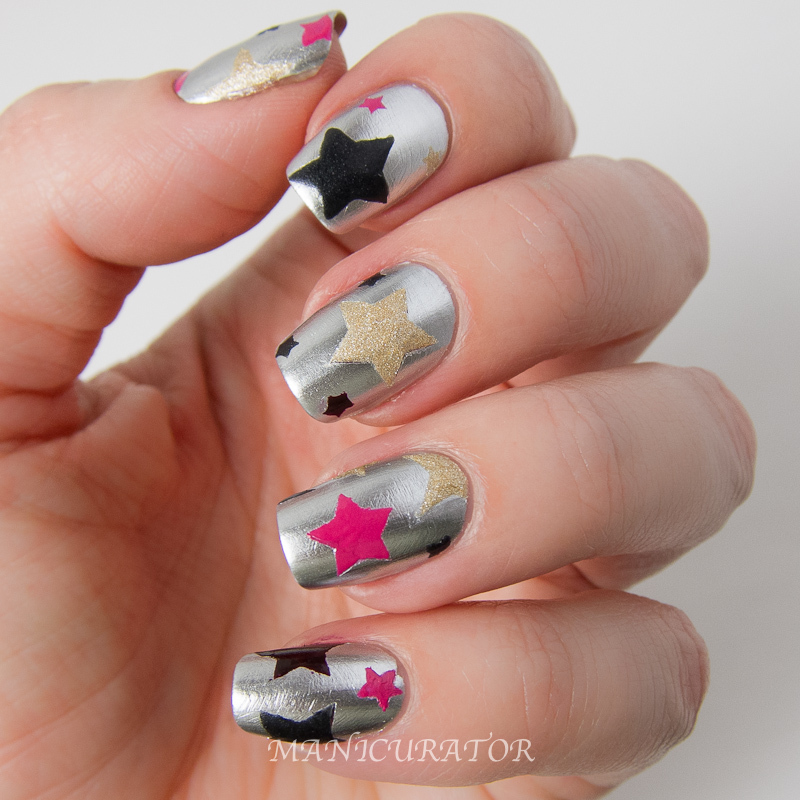 The stars came out ok, but I did have to go back and paint over some spots with a tiny nail art brush because the vinyl lifted polish when I peeled it off. Maybe that was because it was over the chrome/mirror like base. Looking forward to trying again. 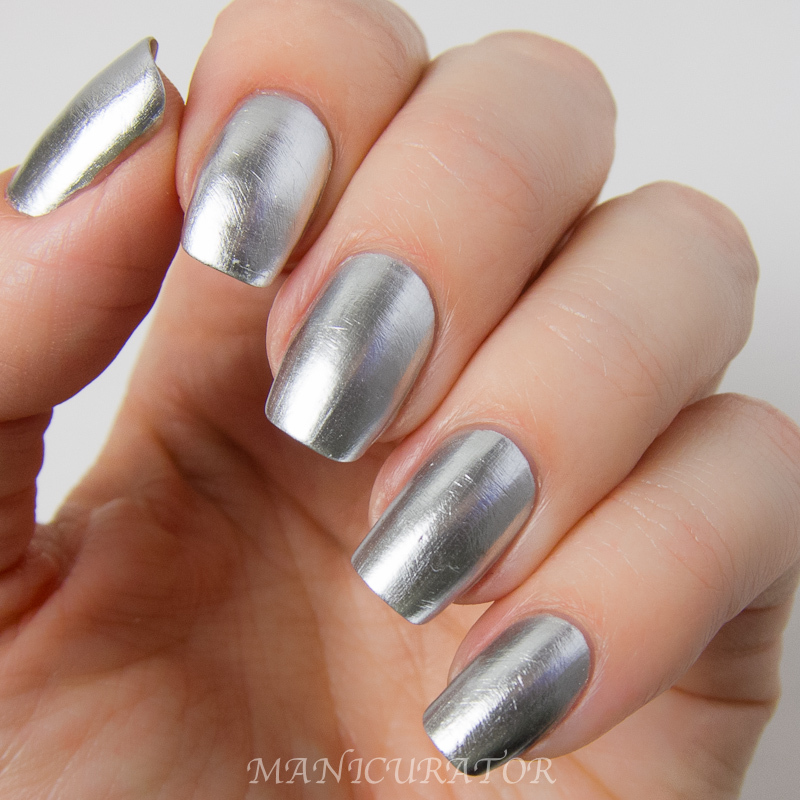 I love love the different textures in this mani. I used Hey Baby, 4 in the Morning, I Sing in Color, and Love.Angel.Music.Baby and love each one more than the next, but the shining star -see what I did there? ;) for me is the gold satin finish Love.Angel.Music.Baby. What do you think? Have you picked up any of these yet? They are Limted Edition so grab 'em up if you want 'em! anyhow the only one I really like from this collection is Love.Angel.Music.Baby, it looks so amazingly elegant! Love the fun stars you did on top!! This is a stunning design idea! I love what you did here! I think these are PERFECT! Hi. I am one of your new followers, you shold know me as funandi on Instagram, I came to check the more detailed description of your manicures, because they all are fabulous! 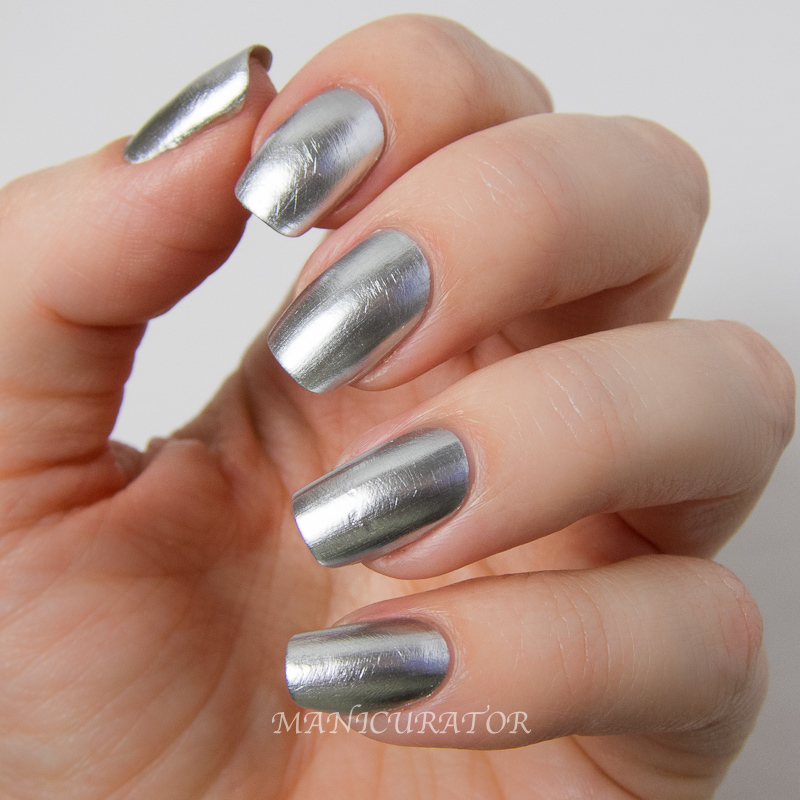 I have the Push an Shove polish and same happened to me, it chipped off very soon, but the metalic effect is beyond amazing! 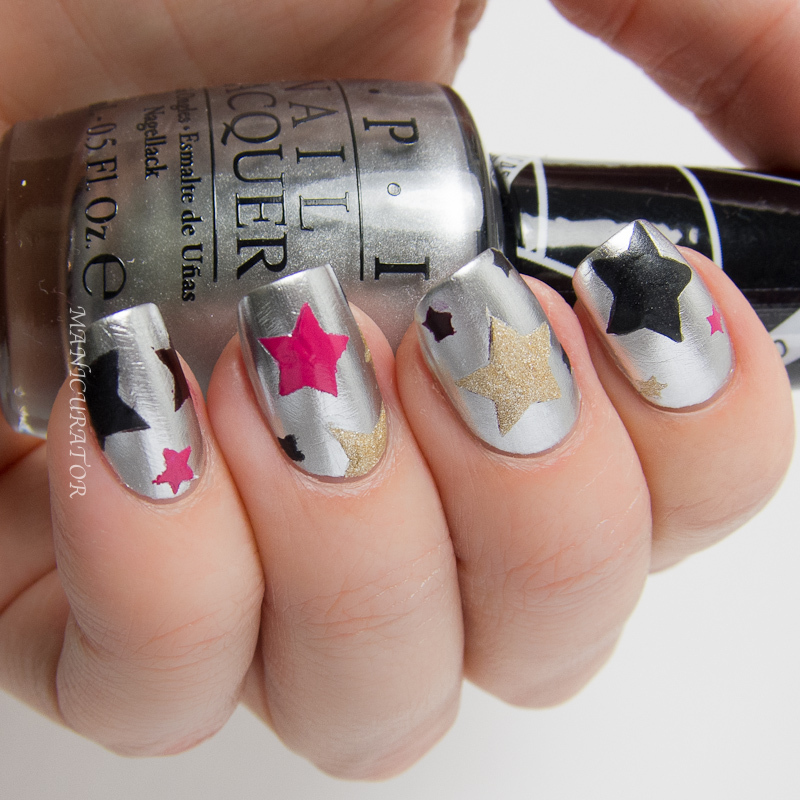 While this collection has not got me thrilled, this mani is sooooo cute & cool!! Thanks! 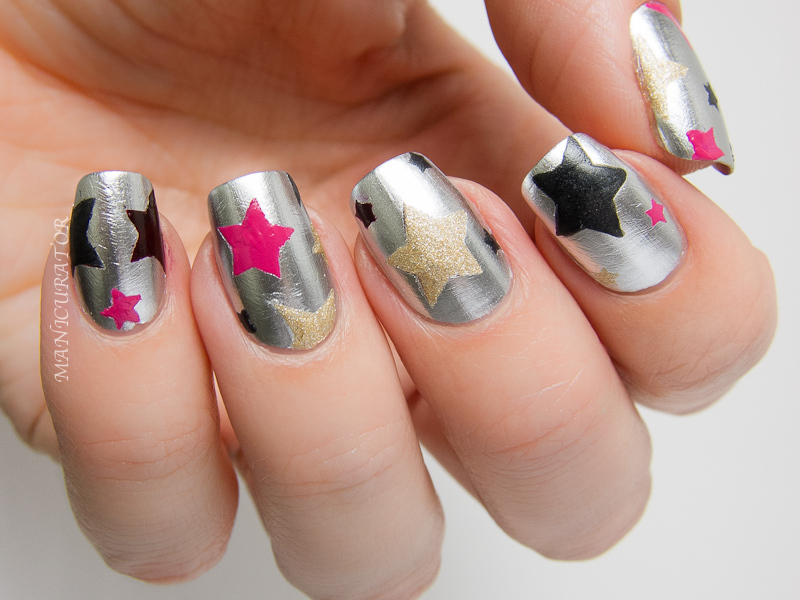 This manicure is so cute! So fun! Your stars turned out so well...I always have such a hard time doing them free-hand so this technique is great!